Pointe Shoe manufacturers re-open premises on St Martin's Lane. Royal Ballet Principal dancer Lauren Cuthbertson this week re-opened the refurbished St Martin's Lane shop of Freed of London, a major supplier of custom-made pointe shoes to The Royal Ballet. The company was founded in 1929 by cobbler Frederick Freed, whose workshop was in the basement of a shop on St Martins Lane. It is now the leading producer of pointe shoes in the world. Lauren has worn Freed shoes for 17 years, since she was a pupil at the Royal Ballet School. The company's ballet shoe makers know the feet of the dancers intimately, handcrafting each shoe with painstaking detail according to dancer’s individual specifications. Royal Ballet Principal dancers get through up to six pairs of ballet shoes per week, and each year The Royal Ballet spends some £250,000 on shoes. It’s not only members of the Royal Ballet who wear Freed shoes. Every year, 150 children from Lambeth and Southwark have free weekly dance lessons as part of the flagship Chance to Dance education programme. All the children wear shoes provided at no cost by Freed, who also support the programme’s end of year performance, when the children have the opportunity to perform at the Royal Opera House. 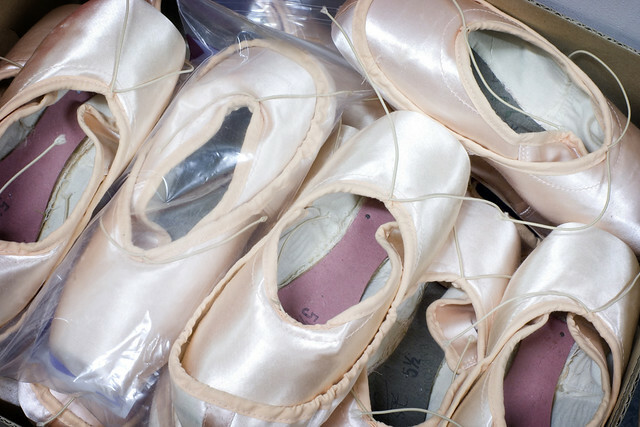 Find out more about our Pointe Shoes Appeal.